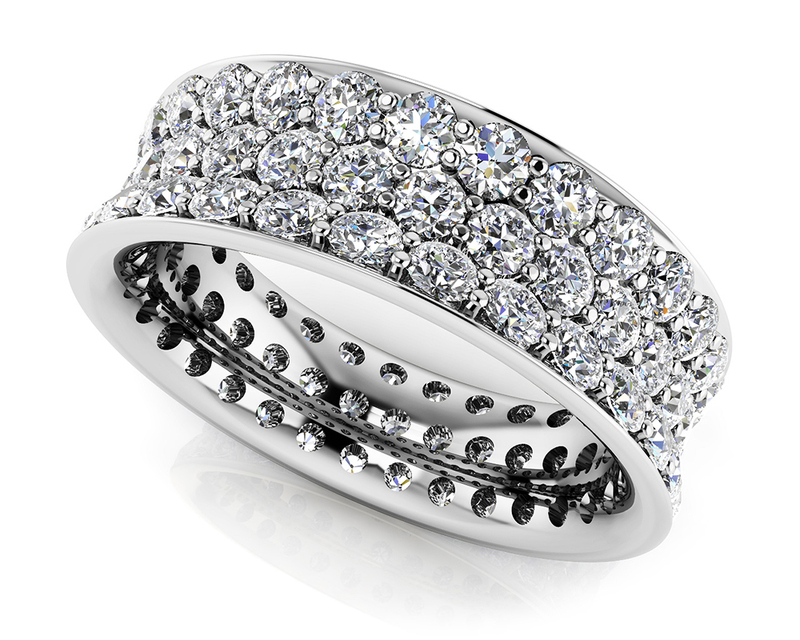 "This extraordinarily gorgeous design will leave her speechless! 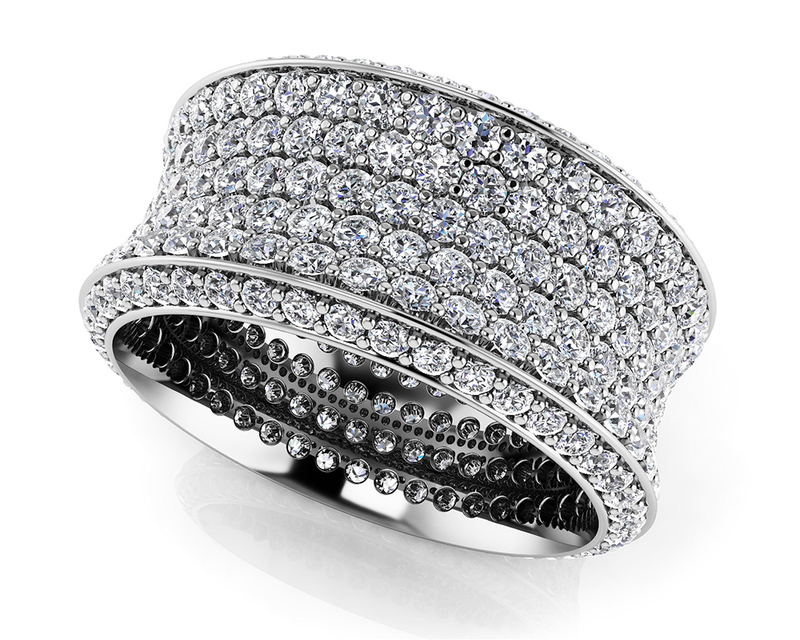 7 rows of round diamonds are set within a curve design that is sure to stand out from the crowd. 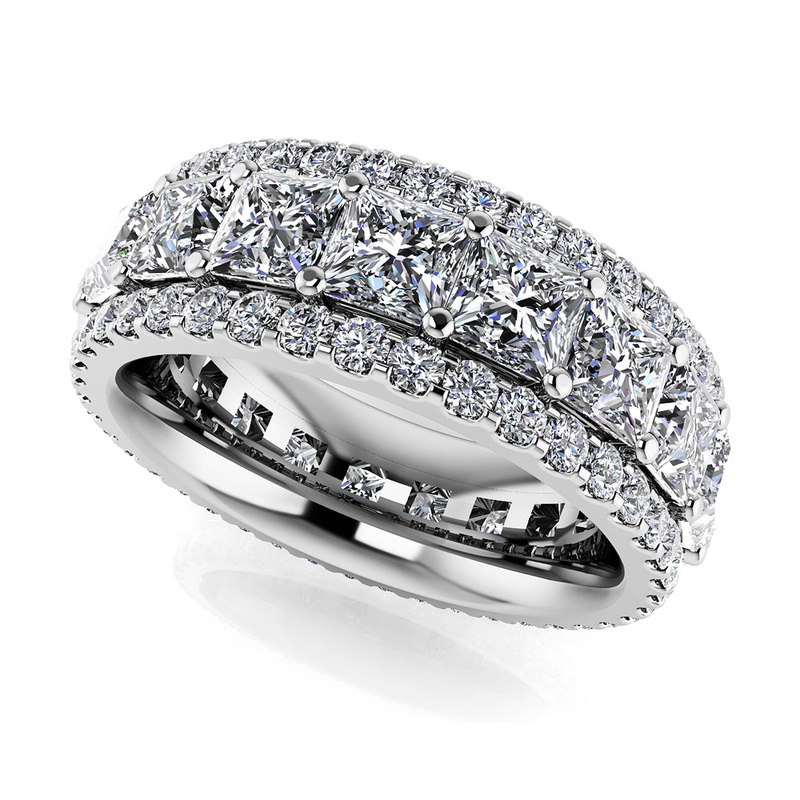 Build yours today in white gold, yellow gold, or platinum and your choice of diamond quality." 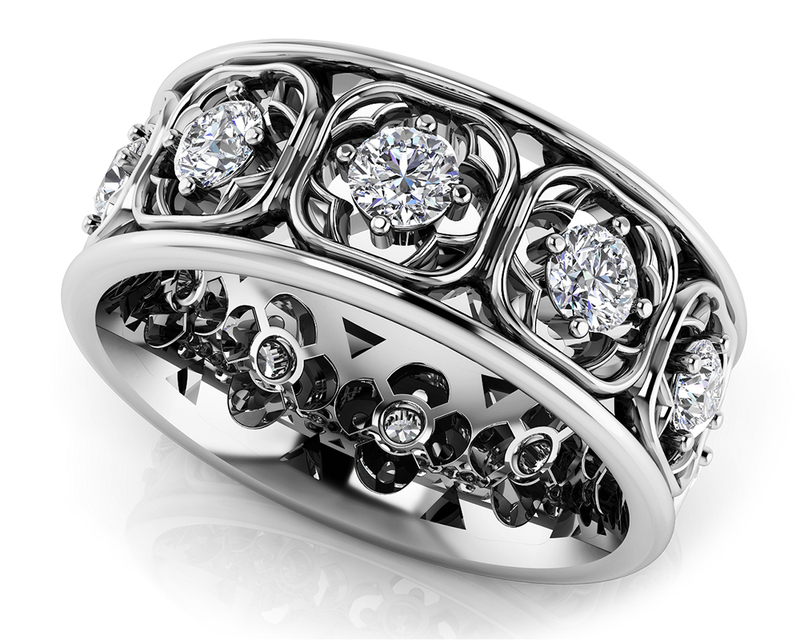 "This intricate design features round diamonds in a four prong setting. 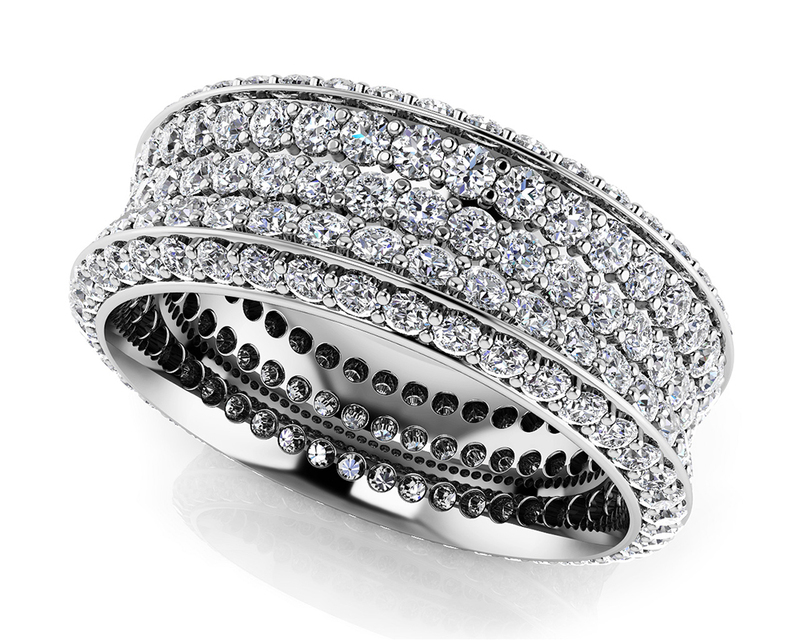 This piece is perfect for a special occasion that will make her fall in love with you all over again. 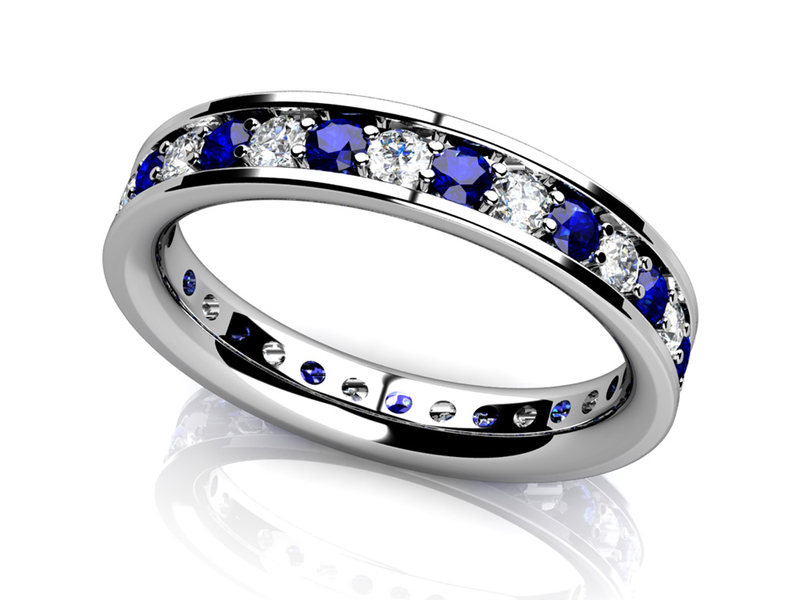 Customize your ring by selecting the metal type, diamond quality and size." 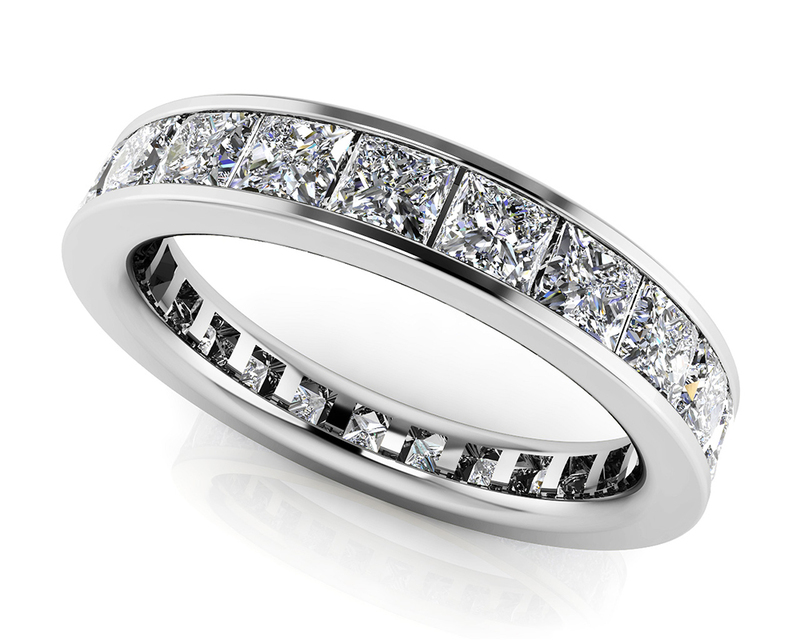 "Brilliant princess cut diamonds are expertly set into this beautiful channel style eternity band. 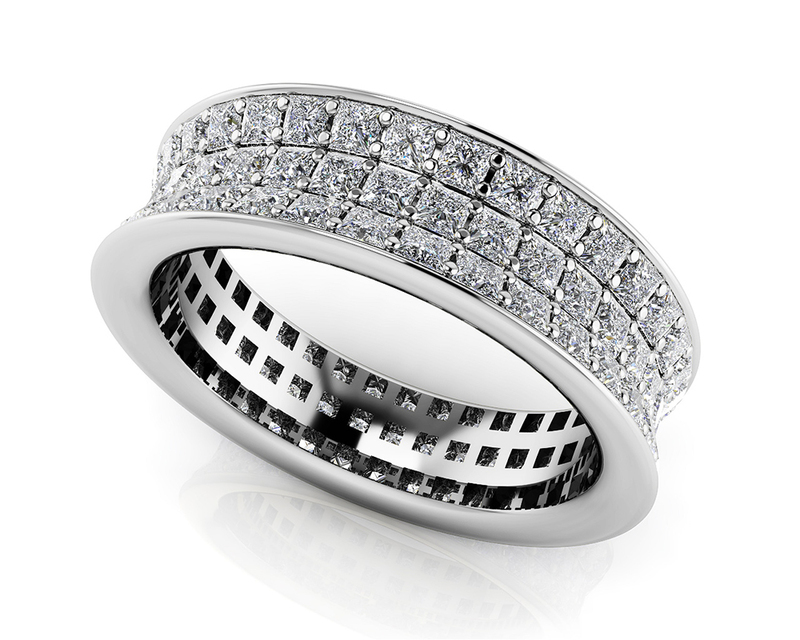 Smooth and sleek, this updated classic style will take you from day to night." 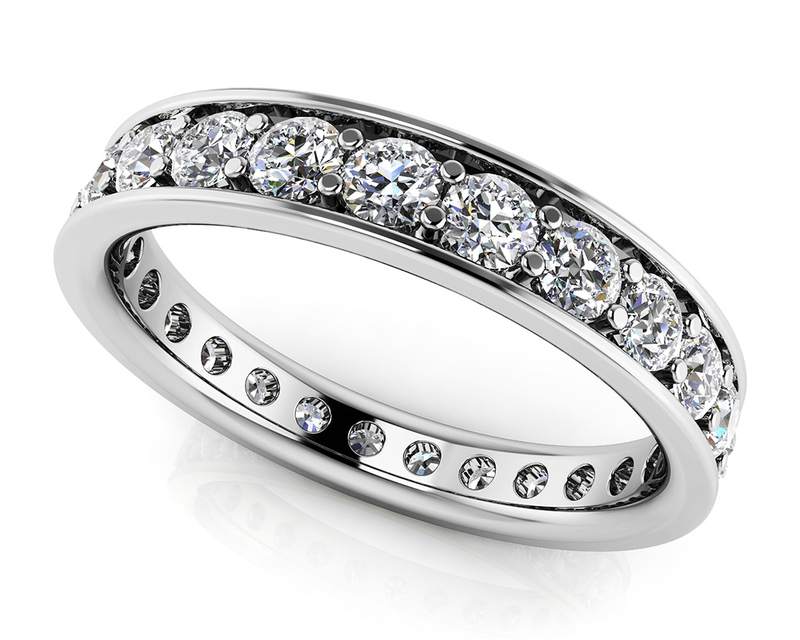 "Elegant, clean lines define this sophisticated eternity band. 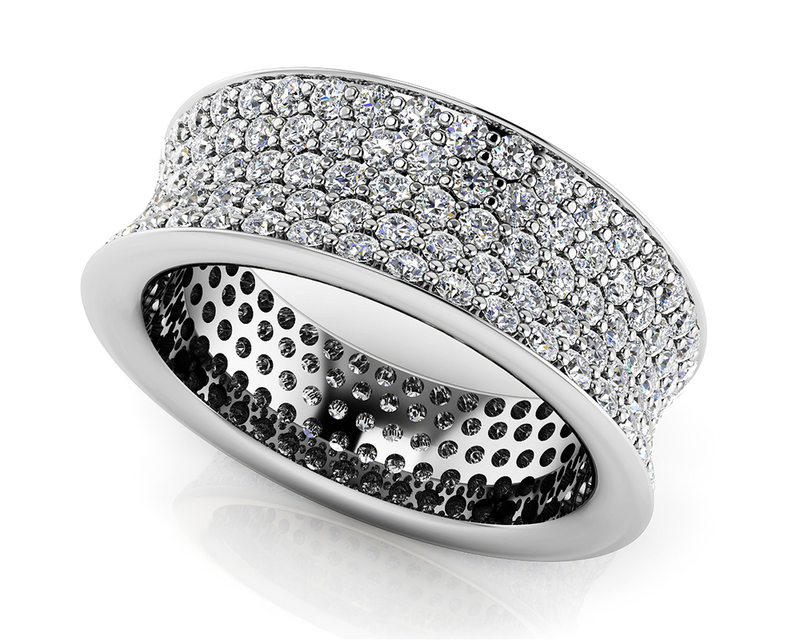 Brilliant round diamonds are expertly set to create the perfect sparkling statement at every angle."